Lahore High court to Consider Permanent Ban on Facebook ! 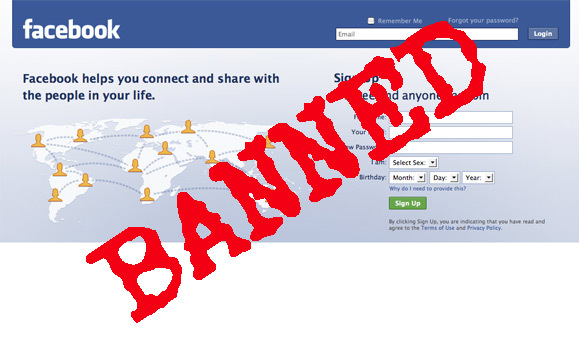 It was expected that the Facebook ban and Internet censorship chapter would not end just there, especially with the new media boom and current online practices. It was only to be expected that with the rapid proliferation of news and views, and the increased use of social networks not just for social interaction but also business, activism, fund-raising purposes or simply voicing one’s opinion, more crackdowns would follow. The first red signal came with the out of the blue statement by Information Minister Rehman Malik saying he has taken “strong note of websites and SMS propagating anti-Islam agenda and ordered blockage of these websites within 24 hours.” He also ordered the Secretary Interior to trace all those websites “propagating against Islam,” and instructed him to register cases against the persons involved.